INTERNATIONAL EXHIBITIONS, ARTIST'S SALONS AND OTHER CULTURAL MEETINGS. 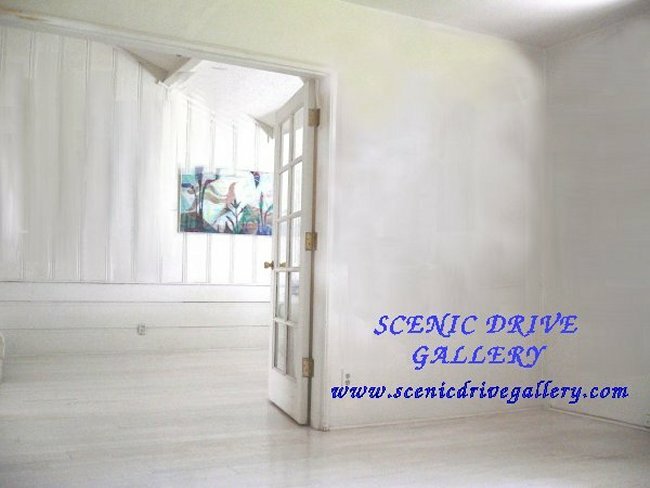 The proprietors of Scenic Drive Gallery are artist Susan Dobay and Endre Dobay. Susan has experience in the visual arts for more than 40 years. Invitational exhibits. The Images and music are integrated in the computer to create a film. With the integration's procedure I am able to capture different variations and moods while being careful to keep the harmony and balance between each individual image. To accomplish this unique effect with the conventional traditional technique is impossible. To the best of my knowledge I haven't seen this procedure, which to me is very new and exciting. evolve to a more enjoyable higher spiritual level. Susan Dobay is listed in Who's International Woman Artists 1997,Award wining Documentary video 1994. The gallery shows segments from Susan Dobay's long career art work and also curate invitational exhibits.